Drug Rehab SEO is arguably the largest long-term opportunity for your addiction treatment center. Of course, nothing will beat a referral, but they can never keep pace with an aggressive inbound marketing campaign. The internet is rife with misinformation, and the SEO market is full of novices and snake oil salesmen. 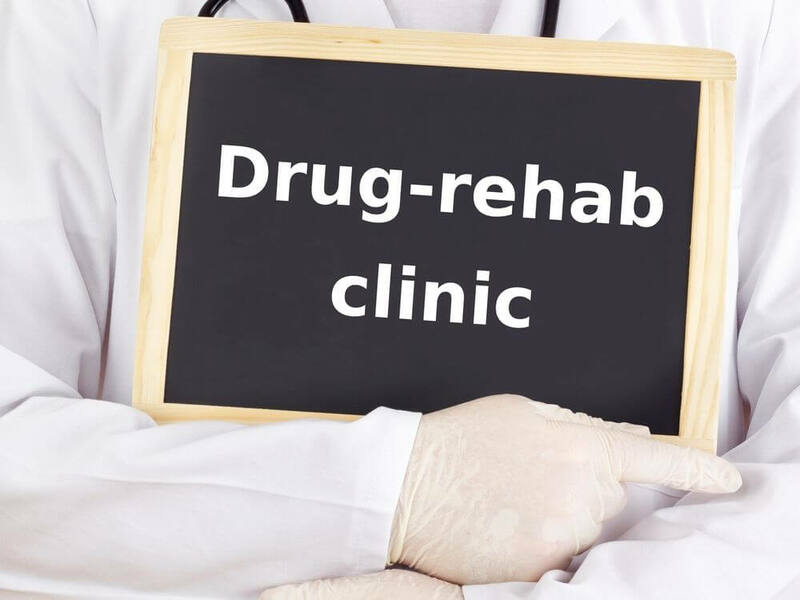 This article is intended to clear the air once and for all on Drug Rehab SEO and provide an actionable guide to ranking on Google for core keywords and converting traffic to new admissions. Use this guide for your internal team to execute and as a talking piece with your current SEO vendor or prospective SEO partner. It’s starting to become common knowledge that search engines, and more specifically organic traffic, is the number one source of web traffic. Facebook organic traffic is down, and with Google AdWords restrictions on Drug Rehab campaigns, SEO is the ideal place for your energy, efforts, and budget. 70 to 80 percent of users ignore the paid ads (PPC) and focus on organic results (SEO). Companies that blog have 434 percent more indexed pages. Companies with more indexed pages acquire more leads. SEO leads have a 14.6 percent close rate, while outbound leads (such as direct mail or print advertising) have a 1.7 percent close rate. It’s no secret, Americans are struggling with substance abuse. The government declared the current opioid epidemic a public health emergency. If you’re like the doctors and support staff I know, you’re in the business to help people and transform lives. The more individuals you make aware of your treatment program, the more lives you can save. Your business is a great example of social entrepreneurship. Roughly 21 to 29 percent of patients who are prescribed opioids for chronic pain misuse them. People are constantly turning to Google to find a drug rehab Facility. I put in just ten keywords commonly searched into Google’s Keyword Planner, and learned there are 92,600 searches a month. And that’s only based on ten keywords. There are thousands of unique queries that addicts search each and every month. As you probably know, Google cracked down on Pay-Per-Click ads as a consequence of shady rehabs trying to capitalize on the growing market. According to Marketdata Enterprises, the 35 billion dollar market is still poised for growth. The number of eligible ads to show for common searches has dramatically decreased since September 2017. For many facilities, this left them with substantial budgets that were not being spent. Some facilities did nothing while others re-allocated to TV, radio, and other traditional offline advertising. Some owners invested directly into SEO, content, and content marketing. There will be a small percentage of drug rehab owners with great foresight that will think long term, reallocate their budgets, and go aggressive on SEO. These forward thinkers will bury their competitors in the long run! LegitScript for Drug Rehab Centers? Google has updated its policy and rolled out a certification process for addiction recovery service providers. Starting in July 2018, LegitScript certified-addiction-treatment providers can request certification through Google. The certification is a two-step process. To get a jump start on your competitors, here is the link to the LegitScript Application. Audit your website and make sure the technical SEO is in good standing. I have been in conversations about advanced link building tactics with marketing departments and then noticed their site does not even have a sitemap. You don’t want to overlook the basics. Make sure the foundation is strong. Make sure your site is connected to Google Search Console. Make sure your site is connected to Bing WebMaster Tools. Ensure the sitemap is dynamically submitting to both GSC and BWT. Analyze the site in GSC and BWT and see if you find any action items. You may find blocked resources, crawl errors, structured data errors, malicious links, or problems with your sitemap. Run your site through Screaming Frog to check for broken links and audit the redirects. Review your site’s robots.txt file to make sure it is not telling search engines to ignore certain pages. Utilize schema, also referred to as structured data. Add Alt tags to images. Review internal linking structure. Make sure you are linking pages together in a sensible way that will promote a great user experience. Clean up pages reporting 404 errors. Manage your duplicate content within and across domains. Take care of incorrect redirects. Implement clean URLs. Look for auto-generated URLs, long URLs, or URLs with uppercase letters. Rewrite the permalink and redirect the old URL to the new one. For a more comprehensive list and explanation, check out my blog on Technical SEO. There is way too much competition for a slow site. Your prospective patients will bounce back to the search engine results page and click on another substance abuse facilities listing. Speed is a direct SEO ranking signal and crucial to the user experience. Put your site through GTmetrix to learn your site’s speed score, load time, and recommendations. This task list is typically a job for your web developer. It will have things like Optimizing Images, Leverage Browsing Caching, and Enabling Gzip. The trick is to fix the issues that are slowing down the site but also use the information to improve processes. For example, if someone in marketing is constantly uploading uncompressed images, they need to start following a process for optimizing images to keep the site fast. Google announced in March they were rolling out the Mobile First Index, and mobile traffic now exceeds desktop traffic. These two facts make optimizing for mobile a top priority. It doesn’t really matter if your site is mobile responsive, dynamic serving, or utilizing a separate mobile URL as long as the site looks great from mobile devices and tablets. By now, I would expect your site to pass a mobile friendliness test. If you implement all the tactics in this blog, your site will rank from desktop or mobile. So, when I say Mobile SEO, a lot of what I am talking about is the user experience from mobile. Make sure your call to actions (CTA) are front and center. On mobile, sometimes CTA buttons and phone numbers collapse. Review your site to ensure the user can easily contact you. Install the Click to Call code. This is a simple piece of HTML code that allows the user to call the facility by just clicking the number. Do not stand in the way of what the user is looking for. Put another way, avoid interstitials on mobile. Pop-ups on mobile are not only really annoying but they also can hurt your mobile rankings. If you are using pop-up software, make sure it is only running on desktop. Keep the contact form simple and small enough to show up on mobile without the user having to scroll. Keep navigation straight-forward. Make sure your content is well-organized, the hamburger menu is easily accessible, and the menus are not too long. Avoid horizontal scrolling. Make sure all content fits perfectly within the width of the site. Users are fine scrolling vertically but not horizontally. Place your most important information in the middle of the screen and less important information on the bottom. Use data from your research to decide how to lay out your treatment programs. Avoid the catastrophic mistake of grouping several treatments or services on one page. Supporting content. There are pages that will probably not rank in the search engine results page but will be informative to prospective patients and help drive in conversions. Typically these are “about us,” “why us,” or pages about your staff. Let’s say you are doing some keyword research with the intent of deciding how to organize your treatment programs. You want to know the impact of doing higher-level categories and also having pages that address each substance you treat. For purpose of this example, I put 5 keywords into Keyword Planner and chose Los Angeles as the geography. As you can see, drug rehab, alcohol rehab, outpatient rehab, and inpatient rehab have good monthly search volume and low competition locally. Based on this scenario, Drug rehab with 720 searches, is your top priority. You need to create this page or re-optimize a similar page you already have. Meta Description: We are a premier Los Angeles drug rehab and alcohol treatment center. Call today to take the first step toward changing your life forever! Latent Semantic Indexing (LSI) Keywords: Throughout your copy use words like addiction, substance abuse, or inpatient. These LSI keywords make it clear to Google what your page is about and will help match your page to relevant queries. You can use the above structure as a guideline for all of your inner pages. 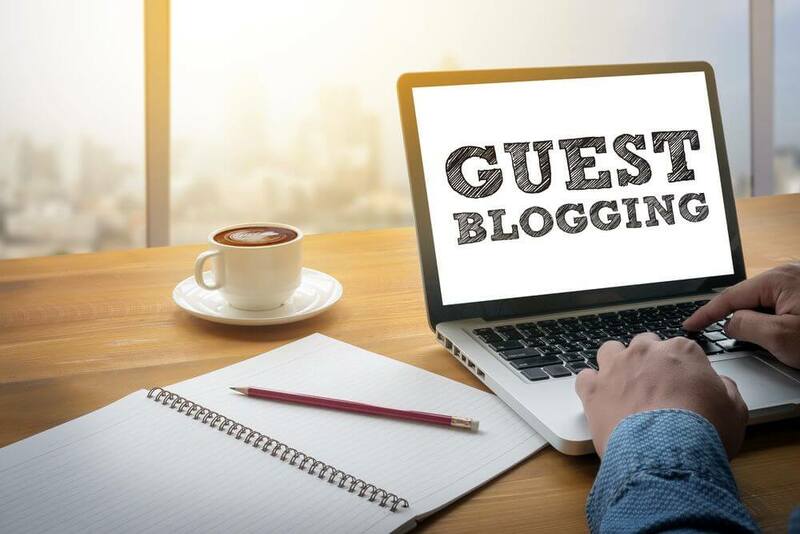 For blog pages, you will also want to incorporate external links and ensure the content is materially longer in word count than your treatment pages. If you have neglected your blog, it’s time for an aggressive re-launch. Content and links pointing to your content are Google’s top two SEO ranking signals. You will need a very thoughtful and data driven approach to managing your blog content strategy. All content is not good content. Do not blog for the sake of blogging. I often see facilities content being produced internally because they recently heard blogging was good for marketing. Then a staff member who enjoys writing takes on the extra task. Don’t get me wrong, I appreciate the initiative, but content creation needs to be done with strategic purpose. It’s time to have a plan and create a content calendar. Assign someone in the organization to take full responsibility for the production and marketing of your blog content. Before working on topic ideas, you will want to thoroughly understand common search queries and ToFu, MoFu, and BoFu. Those funny acronyms stand for Top of Funnel, Middle of Funnel, and Bottom of Funnel. If you have run a PPC campaign in the past, you most certainly have a list of keywords. Simply log in to AdWords and review the statistics. You’re looking for low-to medium-competition keywords that you are not ranking for organically. Make a list of these keywords. If you have never run a campaign, you can still utilize AdWords free keyword planner for keyword ideas. Just remember that the search estimations are not perfect and should serve as more of a rough idea of volume and not represent exact numbers. Once you have aggregated a few dozen keywords, it’s time to work on content ideas. This concept is underutilized and typically only deployed by experienced content marketers. The premise is to write for users when they are at different stages in the decision-making process. Here are a few examples. ToFu and User Intent—Do I need a Drug Rehab Program? Let’s think about the user’s intent with this query. They are certainly a drug user but are looking for facts about when recreational use has become a problem. Or something along those lines. They may not call for an assessment right this second as they are most likely in the research stage, which puts them at the top of your funnel. This search implies they are going to eventually check out and interview a facility. They are past the point of convincing themselves that they need help so they have moved down to the middle of the funnel. With Middle of Funnel content you can be more persuasive and encourage them to contact you. They are ready to make a decision or are getting much closer. BoFu and User Intent—How Much Does Drug Rehab Cost? Anytime price comes up, it’s considered a buying sign, and they are most likely in the bottom of the funnel and will be contacting a facility and probably admitting themselves in the very near future. Your Bottom of Funnel content needs to really shine and distinguish your facility from your competitors to influence the prospect to take action. Now that you have some direction on keyword research and creating content for different parts of the buying journey, it’s time to work on topic selection. You’ll want to come up with new topics each month. It’s wise to plan ahead and think one quarter out so you can focus on the production of the content. https://answerthepublic.com/: All you have to do is enter a keyword and this tool will show you dozens of questions people are asking related to the keyword. The tool is powered by Google and Bing’s “Autocomplete” suggestions and provides a visualization of the data. The ahrefs content explorer tool: ahrefs is by far my favorite tool for keyword research, link prospecting, and—now it’s also great for—topic ideas. All you do is type in a keyword and hit search. If you want, you can also specify whether that term is present in the title or specifically in the content. From there you can review hundreds of related pieces of content. There is no shortage of filters if you want to refine the result (e.g., social media shares, domain ratings, referring domains, word count, and many more). Reddit: Type a keyword into Reddit to locate the subreddit. For example, searching “addiction” located the following subreddit: https://www.reddit.com/r/addiction/. Review the subreddit for good questions and topics for ideas. Hubspot’s blog idea generator: Type in one to three nouns and let the software output a handful of ideas. AllTop: AllTop aggregates content on hundreds of publications in real time. The articles are packed tight on the site so you can quickly browse headlines for ideas. Talk to your intake specialist: Your facility’s intake staff is a gold mine of information. They are on the front lines interfacing with new patients being admitted to your programs. Talk to them about common questions that are routinely asked. Address these topics in a new blog post. Sort by Impressions. Higher impressions will imply you are not too far back in the search results. Use the queries generating impressions to come up with a new topic. Optimize around those search terms and watch your rankings shoot up! This post is not about comprehensive link building strategies, but I’d be remiss if I did not recommend link building as part of your Drug Rehab SEO campaign. We now know for a fact that links pointing to your site are a top two ranking signal. That means in the long run you will want to put most of your efforts into content and link building. If you produce exceptional content you will acquire links naturally. For the rest of the links you’ll have to roll up your sleeves and do some email outreach. It will be much easier to build links to your blog postings, but with enough persistence you can acquire links to your homepage and treatment pages as well. Don’t participate in Private Blog Networks (PBNs). This is the practice of building a network of sites to point to your main URL. It’s against Google’s policy and quite frankly just not worth the effort. The Domain Authority (DA) of each site in the network will probably be 10 or less, which really will not have an impact anyway. Which brings me to my next point. Don’t waste your time with DA links under 20. It takes the same amount of effort to acquire a DA link of 20 or 25 than it does to acquire one of 5 or 10. But the difference in impact is material. Don’t be scared to ask for a link from an authoritative publisher with a DA of 80+. If you’re content is exceptional, you can most certainly acquire really high DA links. The truth is, there are no shortcuts to acquire quality links. You need to produce high quality content, build a database of link prospects, and continually reach out to prospects to acquire new links. It’s very similar to a sales rep starting from scratch. If the rep has a strong product (the content in this case), is well organized and persistent, they will prevail! What your customers say about you online is becoming more and more important to prospective clients. When your site appears on Google for a branded search (i.e., they Google your facility’s name), your Google My Business page shows your reviews. If the profile is full of 3 stars, people might just check out a competitor instead. When a patient finishes a program, I highly recommend encouraging them to leave feedback online. Let them know you are active on Google, Facebook, and Yelp. Sharing their success story enables you to help more people. Commit to building out your review profiles, and then highlight your 5-star testimonials on the website. As you can see, your SEO strategy needs to be well-rounded and comprehensive. The opportunity is huge and the rewards are massive if you execute properly. Be diligent when hiring an SEO partner, and craft a plan that produces more content and links than your competitors while providing a best-in-class experience for prospects. Leave a comment below and let me know what SEO tactics you are currently utilizing. Of course, if you would like a complimentary consultation, do not hesitate to contact me directly.